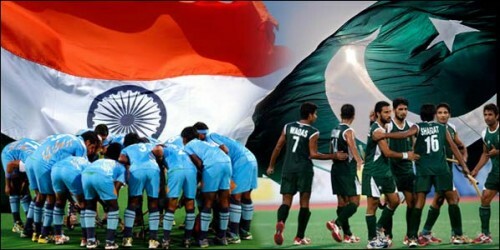 The International Hockey Federation’s (FIH) Chief Executive Officer (CEO) Kelly Fairweather has assured that the hockey governing body won’t interfere in the rift between Hockey India and Pakistan Hockey Federation. Earlier, the Hockey India President Dr. Narinder Batra made it clear that there will be no Pakistani hockey players taking part in the upcoming edition of the Hockey India League without an apology. However, the former head coach of the Pakistan men’s hockey team Shahnaz Sheikh has hit back at the comments made by the President of Hockey India, Dr. Narinder Batra. He said that Dr. Batra is just making excuses to stop the Pakistani players from taking part in the next years’ HIL. Kelly ensured that the FIH’s main focus will be on to bring back Pakistan hockey to its past glory. The Pakistan men’s hockey team failed to qualify for the 2016 Rio Olympics after having already missed out on the chance of playing the 2014 World Cup. As a result of the rift, no Pakistani players were auctioned during the first round of the Hockey India League’s auction. The league will commence from early January next year.